Dopamine metabolism in the brain is a function of presynaptic synthesis, release and reuptake of dopamine. Dopamine is a major neurotransmitter that plays a prominent role in a variety of vital brain functions. To perform these physiological functions, it is necessary to keep a balance between dopamine synthesis, degradation, release, and synaptic uptake. An alteration in dopamine metabolism disrupts dopamine homeostasis that results disturbances in the DA-ergic neurotransmission, leading to region-specific functional abnormalities. Dopamine biosynthetic pathway starts with the dietary amino acid precursor, L-tyrosine (Figure 2). Tyrosine is first converted to 3,4-dihydroxy-L-phenylalanine (L-DOPA) by tyrosine hydroxylase (TH), a rate limiting enzyme in catecholamine biosynthesis. Tyrosine hydroxylase is a mixed function oxidase that uses molecular oxygen and tyrosine as its substrates and tetrahydrobiopterin as its cofactor in catalyzing the addition of a hydroxyl group to the meta position of tyrosine, thus forming L-DOPA. It is then rapidly decarboxylated to dopamine by DOPA decarboxylase (DDC), a pyridoxine dependent enzyme, that catalyzes the removal of carboxyl group from L-DOPA and forms dopamine. In DA-ergic neurons, the pathway stops here (Figure 2). TH is the rate limiting enzyme in dopamine biosynthesis, and is particularly susceptible to physiological regulation and pharmacological manipulation. TH exists in two kinetic forms that exhibit different affinities for its cofactor tetrahydrobiopterin (BH-4). The conversion from low to high affinity form for BH-4 involves the phosphorylation and activation of TH. Enzyme activity of TH is subjected to four major regulatory mechanisms (Figure 2), including (1) end-product inhibition by intraneuronal dopamine, (2) availability of its cofactor BH-4, (3) activation of presynaptic D2 dopamine receptors, and (4) rate of impulse flow in the nigrosriatal pathway [12-13]. In brain, the striatum receives two major projections: (1) DA-ergic from the subtantia nigra and ventral tegmental area and (2) glutamatergic from most of the cerebral cortex. Under normal physiological conditions, dopamine is released in the striatum from dopamine nerve terminals via an exocytotic, calcium-dependent mechanism. Calcium-dependent release of dopamine occurs in response to invasion of the terminal by nerve impulse action potential (Figure 2). The extent of this release appears to be a function of the rate and pattern of firing. The burst-firing mode leads to an enhanced release of dopamine. Dopamine release is also modulated by presynaptic dopamine receptors (also referred as release-modulating autoreceptors) (Figure 2). In general, dopamine agonists inhibit, while dopamine antagonists enhance the evoked release of dopamine. Presynaptic dopamine receptors expressed along the somatodendritic extent of midbrain DA-ergic neurons modulate impulse activity, whereas dopamine receptors expressed at the nerve terminals regulate both dopamine synthesis and release .
. The repetitive transcranial magnetic stimulation (TMS) of the human dorsolateral prefrontal cortex leads to dopamine release in the ipsilateral caudate nucleus, which supports corticostriatal control of dopamine release in humans . The repetitive TMS of the motor cortex induces dopamine release in the ipsilateral putamen , confirming that dopamine release is focally restricted in healthy humans. However, measurement of dopamine release following cortical stimulation in early PD patients with evidence of unilateral motor symptoms shows that the amount of TMS-induced striatal dopamine release is less in the symptomatic hemisphere than in the contralateral hemisphere , which may be due to advanced degeneration of DA-ergic nerve terminals and the failure of functional compensatory mechanisms. Thus, a possibility of in vivo expression of a loss of functional segregation of cortical information to the striatum gives an indirect evidence of abnormal corticostriatal transmission in early PD. 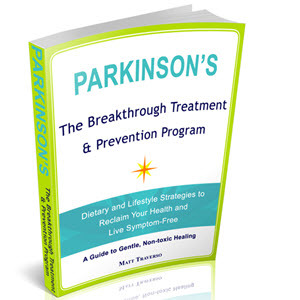 Collectively, impairement in dopamine synthesis and release are directly attributable to PD. Figure 2. DA-ergic presynaptic and postsynaptic neurons: involvement in dopamine metabolism. Tyrosine hydroxylase (TH); Aromatic amino acid decarboxylase (AADC); Dopamine receptor subtypes (D1-D5); Dopamine uptake blockers (cocaine, methylphenidate and fluoxetine). 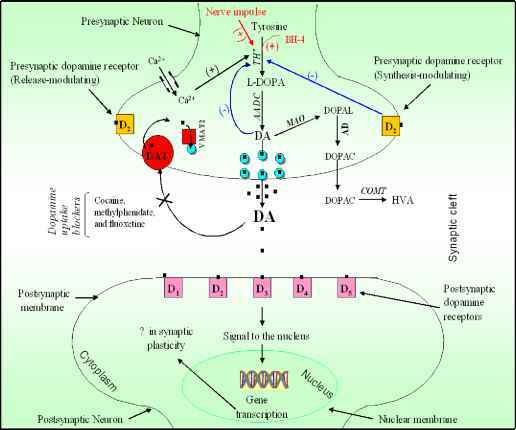 Dopamine is inactivated by two major processes: (1) uptake by the nerve terminal and (2) enzymic degradation. Dopamine can be taken up from the synaptic cleft back into the presynaptic terminal via dopamine transporter (DAT) that terminates its synaptic action . Dopamine transporter belongs to the SLC6 family of Na+/Cl- dependent symporters . Dopamine uptake is an energy dependent process where sodium/potassium ATPase uses energy from adenosine 5'-triphosphate (ATP) hydrolysis to create a concentration gradient of ions across the presynaptic membrane, driving the opening of DAT, which exhibits a channel mode of conduction that directly modulates membrane potential and neuronal function. Dopamine uptake plays an important role in maintaining synaptic homeostasis. Following uptake into the cytoplasm, dopamine undergoes a second transport step that is required for its efficient cycling. This step is performed by a vesicular monoamine transporter type-2, VMAT2, driven by a H+ electrochemical gradient. Dopamine is re-packaged into vesicles for their release by exocytosis (Figure 2). 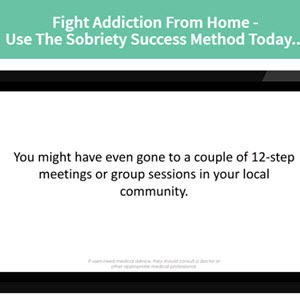 Psychostimulants, such as cocaine, methylphenidate, and fluoxetine, block dopamine uptake by binding to DAT and incease dopamine levels in the synapse, leading to addiction or neurological symptoms. Figure 3. The effect of cocaine, mazindole and procaine on K+-evoked release of [3H]-acetylcholine in mouse striatal slices. 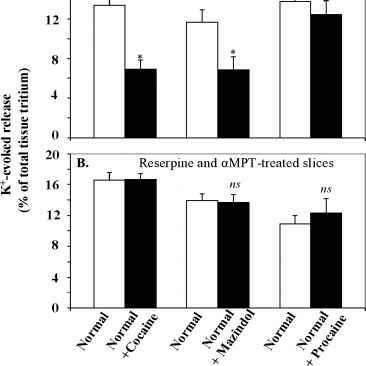 (A) control slices, (2) reserpine and a-methyl-p-tyrosine (a-MPT)-treated slices. Modified from reference . Alterations in the density, function and relative expression of DAT compared to VMAT2 may result in neurological and psychiatric disorders, including PD, schizophrenia, and addiction [22-24]. Both cocaine and mazindol are known as monoamine uptake inhibitors. Nigrostriatal DA-ergic fibers exert a direct inhibitory influence on striatal cholinergic interneurons. In vitro perfusion studies using striatal slice preparation indicate that the release of acetylcholine (Ach) from slices is modulated in an inhibitory fashion by the stimulation of dopamine receptors, particularly the D2 subtype [25-26]. Cocaine and mazindol, but not procaine (local anesthetic), produce a marked reduction in K+-evoked release of [3H]Ach in mice striatal slices (Figure 3A). Inhibition is overcome in reserpine (depletes stores of amines) - and dopamine synthesis inhibitor, a-methylparatyrosine (a-MPT)-treated slices (Figure 3B), suggesting the dependence of endogenous dopamine . Both cocaine and mazindol produce ~ 8-fold shift in concentration-response curve for dopamine, but not for dimethyl analog of dopamine, DMDA . Furthermore, IC50's of DMDA and dopamine for the inhibition of [3H]dopamine uptake are 26.31 ^M and 0.83 ^M, respectively, suggesting that dopamine has higher affinity for dopamine uptake transporter than DMDA. Dopamine, DMDA, and permanently charged analogs of dopamine (quaternary ammonium (DA-N+), selenium (DA-Se+), dimethylsulfonium (DA-S+), inhibit the K+-evoked release of [3H]Ach but with different EC50s (Figure 4A) . The inhibitory effects of DMDA and permanently charged analogs of dopamine on K+-evoked release of [3H]Ach are not influenced by cocaine [29,27], implicating that dopamine transporter has a very high affinity for dopamine compared to its analogs. The striatonigral pathway also plays an important role in maintaining rotational behavior. Rats treated with permanently charged analogs (DA-N+, DM-S+) show significant increase in the circling behavior (Figure 4B), but permanently uncharged analog of dopamine (DM-S) or amphetamine (AMP) produce no response [29-30]. These findings suggest that permanently charged analogs of dopamine are not taken up by dopamine transporter, and atom on a-carbon of dopamine should have a positive charge in aqueous solution to interact with the D2 DA-ergic receptor. The two major enzymes of dopamine catabolism are monoamine oxidase and catechol-O-methyltransferase (COMT). MAO, a flavin containing enzyme, is located in the outer membrane of mitochondria. It converts dopamine to its corresponding aldehyde (dihydroxyphenyl acetaldehyde, DOPAL) by oxidative deamination. DOPAL is rapidly oxidized to dihydroxyphenylacetic acid (DOPAC) by aldehyde dehydrogenase (Figure 2). COMT is a cytosolic enzyme that converts DOPAC to 3-methoxy-4-hydroxypheny acetic acid (homovanillate, HVA). The outcome of dopamine inactivation is the conversion of dopamine into HVA. Dopamine deficiency in PD, can be compensated by increasing dopamine synthesis and dopamine release, or reducing dopamine catabolism. Figure 4. Effects of charged and uncharged analogs of dopamine on K+-evoked release of [ H]-acetylcholine in mouse striatal slices, and on the circling behavior in rats. (A) Effect of dopamine, dimethyldopamine, and permanently charged analogs of dopamine. Before decapitation, mice have been injected with reserpine (5mg/kg) and a-methyl-p-tyrosine (250 mg/kg) 20 and 2 hr, respectively. Number in parenthesis represents EC50 (^M) values. The order of potency for inhibition of the K -evoked stimulation of [3H]acetylcholine release is: dimethyldopamine (DMDA) > dopamine (DA) > quaternary ammonium analog (DA-N+) = dimethylselenonium analog (DA-Se+) > dimethyl-sulfonium analog (DA-S ). Modified from reference . 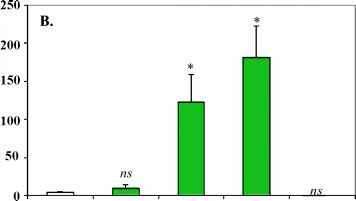 (B) Effect of direct intrastriatal injection of drugs on the circling behavior of rats previously lesioned unilaterally with 6-hydroxydopamine (6-OH). Dose for each drug injected was 100 nmol in 2^1 volume. Turns in ipsilateral and contralateral directions were determined at 5 min intervals at 15, 30, 45, and 60 min, respectively. For getting the net number of turns for each animal, contralateral minus ipsilateral is added together. Permanently uncharged monomethylsulfide (DM-S) analog does not elicit significant contralateral circling, whereas, DA-N+ and DA-S at the same dose as amphetamine elicit significant contralateral circling. *p <0.05 when compared to controls. ns, not significantly different from control. Modified from reference .